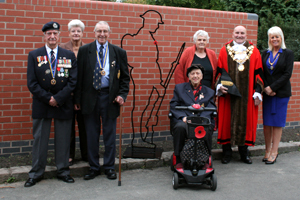 Bedworth Lions Club. 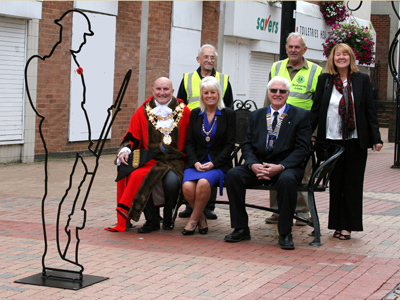 Launched it's WW1 Tommy project by presenting the 6 foot tall statue to the town of Bedworth on the 13th September 2018. 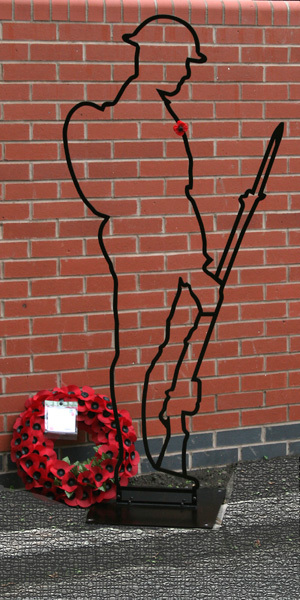 The full-sized "Tommy" is from the WW1 commemorative series "There but Not There". Tommy is available to visit schools, community venues & places of worship in Bedworth & surrounding area. This is a call out to all schools in Bedworth, Bulkington, Exhall & surrounding villages. 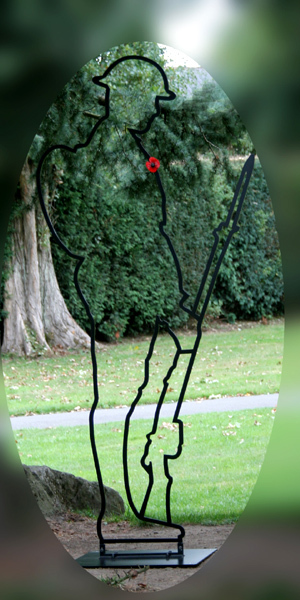 We have purchased a full sized Tommy- part of the WW1 commemorative art project called There but Not There. 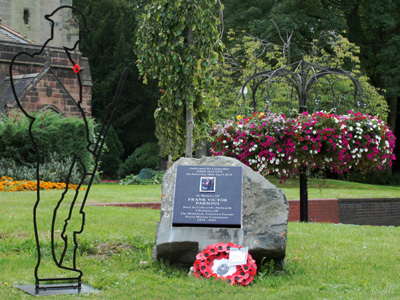 Before we find Tommy a permanent home in Bedworth we are touring him around schools, places of worship & community centres. Venues can have Tommy for up to a month, he needs to be kept indoors. 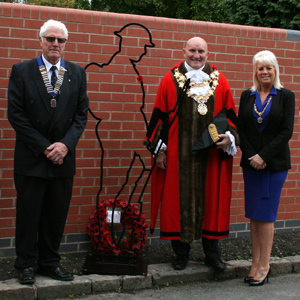 We believe having Tommy presents an excellent opportunity to engage with local adults & children about WW1 & the sacrifices local people made. We are running drawing, poetry & story writing competitions for the children in host venues. 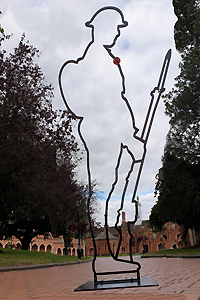 At the end of the tour we will use all the best pieces in a book titled The Bedworth Tommies. 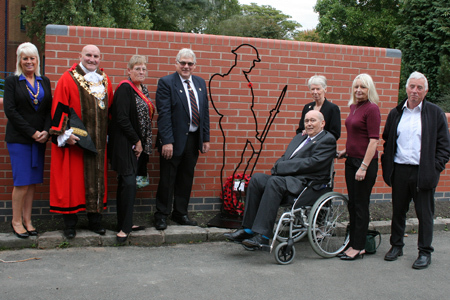 Proceeds from the book will go to Bedworth Armistice Parade & Royal British Legion. WE think the tour will take up to 2 years so there is plenty of time, however, allocation to specific dates is on a first come basis. 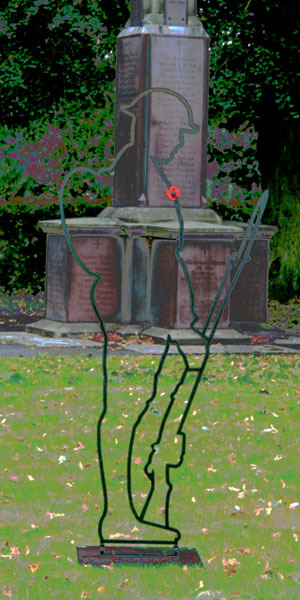 Tommy can be seen on our facebook photos page. 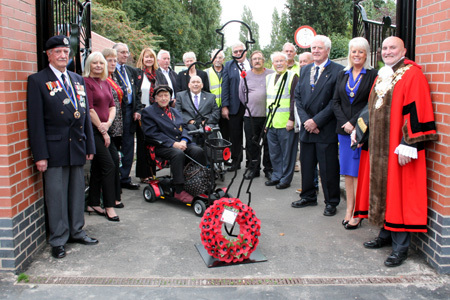 Tommy in the foreground, "There but not There"
With the group attending the launch of the Touring Tommy Project,by the Miners Welfare Park Gates. 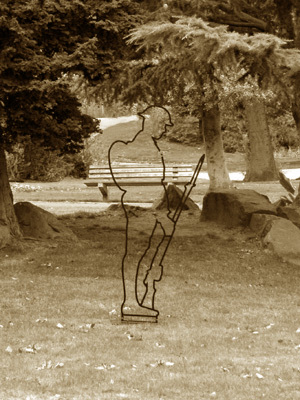 Tommy in sepia, a nod to the way WW1 photographs would have looked.